EPA Releases Climate Assessment Update to National Stormwater Calculator WASHINGTON –Today, the U.S. Environmental Protection Agency (EPA) released phase II of the National Stormwater Calculator and Climate Assessment Tool package. The updated calculator includes future climate vulnerability scenarios. The calculator, a part of President Obama’s Climate Change Action Plan, is a desktop application that estimates the annual amount of stormwater runoff from a specific location. The calculator now includes changes in seasonal precipitation levels, the effects of more frequent high-intensity storms, and changes in evaporation rates based on validated climate change scenarios by the Intergovernmental Panel on Climate Change. 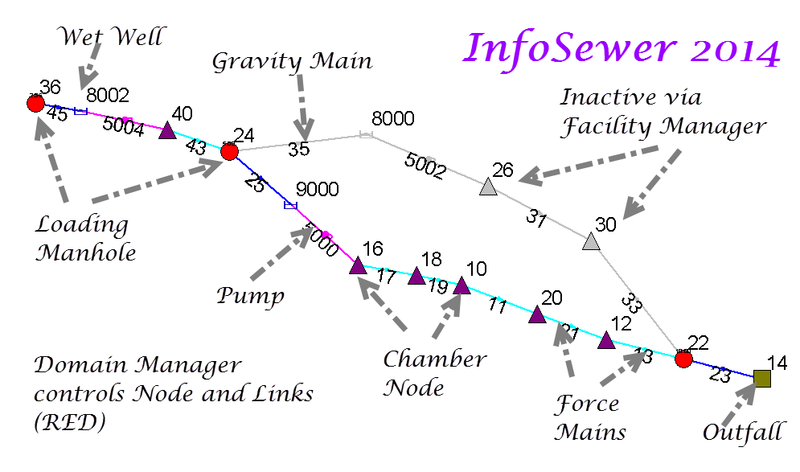 The main features of an InfoSewer Network with labels. This version uses the normal Force Main solution but if the upper grey set of links is added then you have to use the Advanced Force Main Solution. 5. The Irregular channel is restricted to full flow but if the HGL at the upstream head rises you can get more flow through the Irregular channel as the flood level rises. 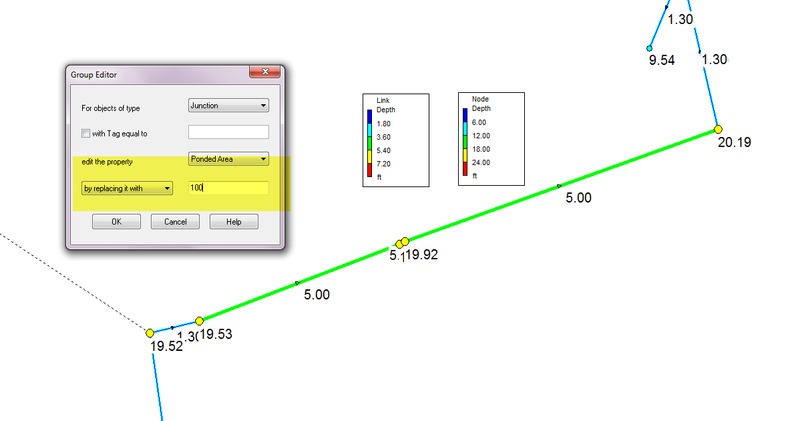 This is for students of SWMM 5 who want to quickly have many water quality constituents in their model. 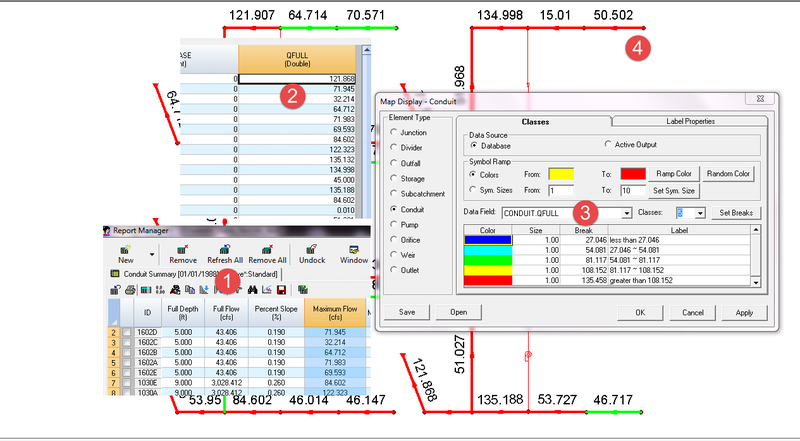 You can copy and paste this snippet to your SWMM5.INP file and change the coverages sections to have 25 Pollutants with Buildup and Washoff Sections. I hope this helps you in your water quality modeling. ;;Name Units Concen. Concen. Concen. Coeff. Only Name Fraction Concen.